The following information is being distributed by Grace Brethren International Missions regarding a memorial fund established on behalf of Chadian church planter and evangelism trainer Dadje Samuel, who died Sunday. Dadje Samuel died on Sunday, April 25, 2010. Dadje was married to Christine and had 8 daughters, 2 sons and several grandchildren. He was 47. Due to his apostolic vision there are Chadian missionaries working in 4 countries and with unreached people groups with over 400 new churches and Points of Light started. It was on an exploratory trip to develop church planting in a new country that Dadje became ill. He was hospitalized, but died a few days later. A memorial fund has been established by GBIM to help with the immediate needs of the family and the funeral. 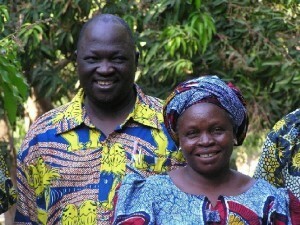 Funds will also go to continue Dadje’s vision of evangelism and church planting. For more information log onto www.gbim.org.